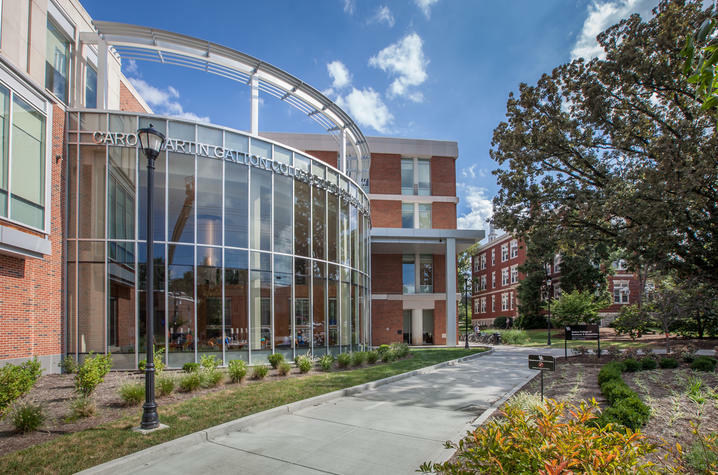 LEXINGTON, Ky. (Oct. 5, 2016) — This Friday (Oct. 7), alumni, students, faculty, staff and friends of the University of Kentucky Gatton College of Business and Economics will gather to celebrate the official grand opening of the new facility. The celebration will begin at 10:30 a.m. in Gatton’s Kincaid Auditorium. 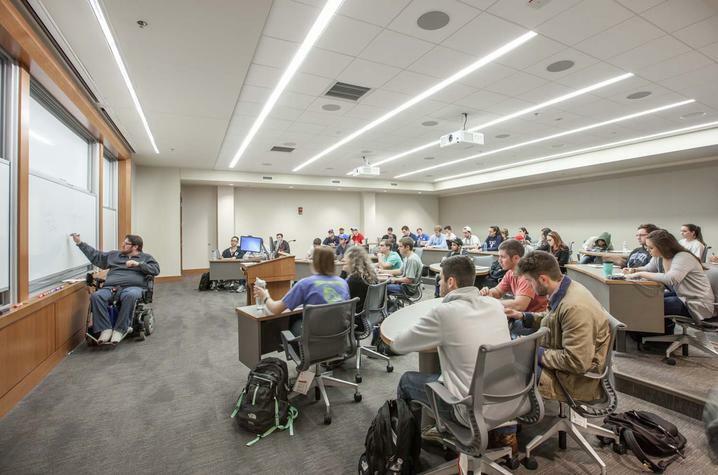 The new Gatton College building is already transforming business education at UK, preparing the next generation of business leaders with advanced technology and engaged learning. The $65 million project is the first academic building on UK’s campus to be funded entirely through philanthropy. Thanks to the generosity of alumni and donors, the college has reached 97 percent of the fundraising goal for the building. 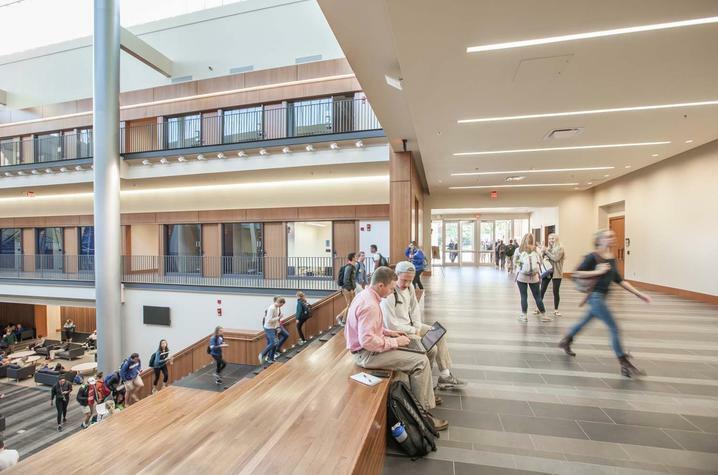 The 210,000-square-foot building fully opened this fall at the “front door” of UK’s campus on South Limestone and Administration Drive. 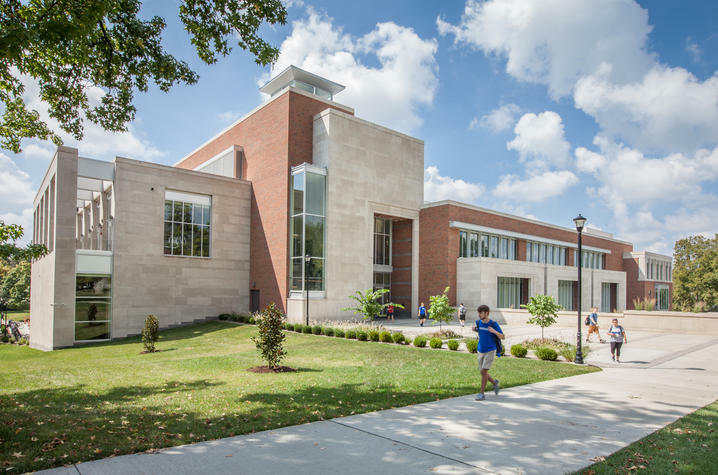 By incorporating and remodeling both the 1963 original Gatton building and its 1992 addition, the college was able to wisely utilize resources and save money while still increasing learning spaces by more than 40 percent over the old Gatton building. But students are not only learning — they're experiencing business in real time in the facility. State-of-the-art, technology enabled classrooms, advanced lecture space, a dedicated real-time finance learning facility and collaborative study spaces throughout the building emphasize the way business is conducted in the 21st century. The Gatton College has seen enrollment increase by 24 percent since construction began. In fall 2016, the college’s enrollment exceeded 3,500 students for the first time. 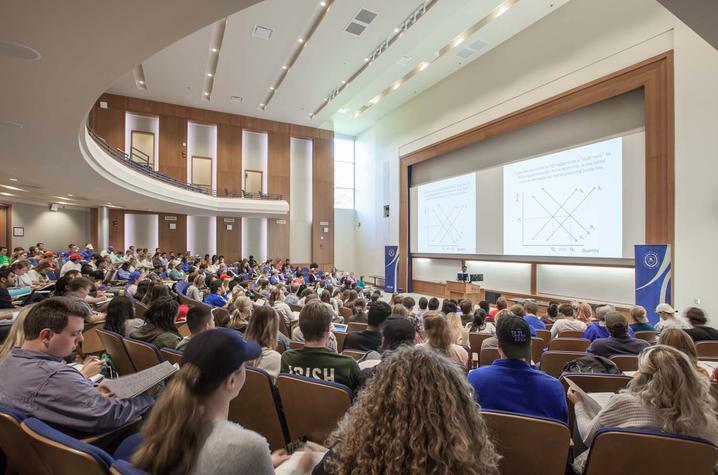 The Gatton building is part of a more than $2.1 billion campus transformation initiated in the last five years that includes classrooms, research space, residence halls, dining and athletics facilities. More than 90 percent of that transformation is being financed with university resources or private giving. 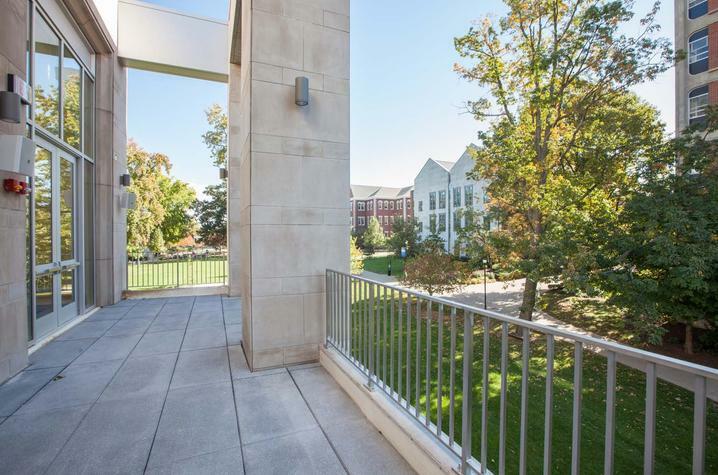 · The 40 percent expansion of the college’s footprint to 210,000 square feet. · A new main entrance from the interior of the university campus, with the John H. Schnatter Atrium that serves as the "living room" for the college. 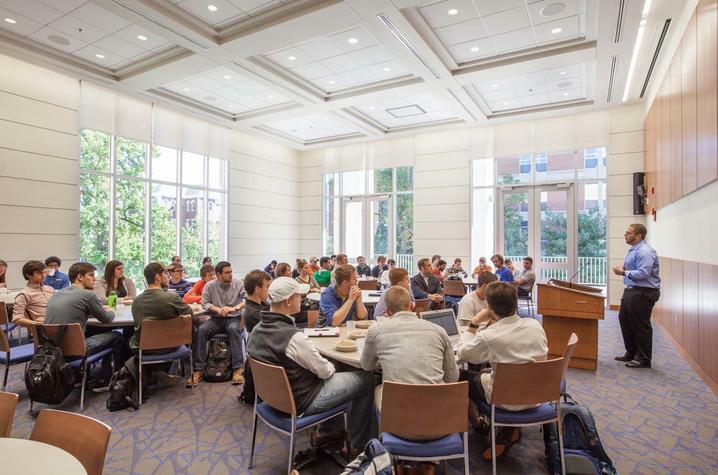 · The 500-seat Kincaid Auditorium designed for special events and large lectures. It has already hosted Nobel Peace Prize winner Kailash Satyarthi, Sacramento Kings owner Vivek Ranadivé and Supreme Court Justice Samuel Alito, among others. · A new Behavioral Research Lab. · The new Seale Finance Learning Center which includes an advanced classroom with a simulated trading environment featuring digital displays feeding real-time financial and market information. · Twenty new classrooms, including 10 45-seat classrooms; six 85-seat classrooms; three 70-seat classrooms; and one 65-seat classroom. · More than 40 collaborative study or breakout rooms. · An outdoor garden plaza which serves as a gathering place for students, faculty and staff to socialize and network on nice weather days. · Woodward Hall, a special event space with audio-visual components to accommodate dinners and lectures. · UK Venture Studio, providing a real-world, startup company experience for UK students across campus.